Obituary for Jeanus B. Parks, Jr. | McGuire Funeral Service, Inc.
Jeanus B. Parks, Jr., Esq., Lawyer, Educator, Social Innovator, Corporate Executive, Philanthropist, Public Servant, Former Associate Dean of Howard School of Law. Jeanus B. Parks, Jr., Esq., (Professor Emeritus) affectionately known to many of his law students as "Professor," passed away peacefully at home. Mr. Parks was 88 and was born in Washington, D.C. Mr. Parks attended the public schools of the nation's capital. He completed his public education at Dunbar High School and attended Howard University from 1947 to 1950. In 1951 he was called into the Unites States Army, where he served for two years. Upon his return to civilian life in 1952, he entered Howard University School of Law, graduating in 1955. While attending the Howard University school of Law, Mr. Parks organized and served as the first Editor-in-Chief of the Howard Law Journal, 1954-55; he received the Hobart Taylor, Sr. Scholastic Award in 1953, as the outstanding scholar of the year; he received a Trustees' Scholarship in 1954; and served as President of the Student Bar Association, 1954-55. He was privileged to be selected to serve as a Research Assistant under the tutelage of the late Charles Hamilton Houston Distinguished Professor of Law, Herbert O. Reid, Sr., during the preparation of Supreme Court briefs for Bolling v. Sharpe. He was chosen student representative to the ABA, JBC, Committee on Law Students in the District of Columbia in 1954 which developed the first Law Student Assistant program in the City; and in 1955, he was awarded the American Law Student Association's "Silver Key" for outstanding service. After admission to the District of Columbia Bar in 1956, Mr. Parks engaged in a limited private practice and served in the Federal Government as a Trial Attorney in the Office of the General Counsel, Housing and Home Finance Agency (HHFA) (now The Department of Housing and Urban Development) from 1956-59. During his service with HHFA he handled complex national litigation involving urban renewal, community facilities, and liquidation of the Reconstruction Finance Corporation. His career rise in the Office of General Counsel was meteoric. He resigned from the Housing Agency and entered Columbia University Law School where he earned a Master of Laws Degree in 1960. Upon graduation he returned to the Housing Agency for a brief period before being invited to join the faculty of law at Howard University. In 1963, he established and taught a seminar in Urban Problems, one of the first of its kind to be offered in America law schools. This seminar was devoted to the study and exploration of legal, political, and social change and agitation for such changes in urban centers as manifested in the legal problems arising from such situations. It included empirical studies of the efficacy and adequacy of the then existing legal institutions and the extent to which they were changing or needed to be changed to accommodate social demands. Mr. Parks, during the Deanship of the late and distinguished Clarence Clyde Ferguson, Jr., served as Director of the Howard Law School Urban Problems Project. This program had three principal goals: (1) initiating a 4 continuing legal study of urban society, searching for the problems, and correlation empirical data on the people in the cities; (2) determining what assistance would be most beneficial to urban dwellers in the area of civil rights as the struggle moved from the rural south to the northern cities, and providing that assistance to those who were most in need; and (3) providing training for law students with a view toward graduating well-rounded practitioners thoroughly versed in the problems and tactics of service to an urban population. He was designated the "Outstanding Teacher" for the school year 1964-65 by the late Dr. James M. Nabrit, Jr., the President of the University. Mr. Parks never confined his activities and energies to academic or professional circles. He was directly involved in a wide range of business and civic activities. He was a co-founder and member of the Board of Directors of the United Community National bank; a member of the original Board of Directors of the Neighborhood Legal Services Project; and a founding member of the National Lawyers Club. He was active in the National Bar Association, the Washington Bar Association and the Federal Bar Association and was a member of the Judicial Conference of the District of Columbia Circuit. He was an officer and member of the Board of Directors of the D.C. Chapter of the Federal Bar Association, the largest of the bar associations in the District of Columbia. He played a very active legal role n the Mississippi Freedom Democratic Party's challenge of the Congressional delegations from the State of Mississippi in both Houses of the United States Congress; the Free D.C. Movement; the NAACP Legal Defense Fund, Inc.; the NAACP; the elimination of the investigative arrests in the District of Columbia; the Southeast Assembly Southeast Neighbors; and in the planning and funding of the now celebrated D.C. School Board suit, Hobson V. Hansen. He was continuously called upon to provide service as special counsel to members of the Federal legislature and the D.C. City Council and with the late Professor Herbert O. Reid, Sr., played a significant role in the drafting of and lobbying for the Federal Voting Rights Act of 1965. Their efforts resulted in the Congressional outlawing of the poll tax, a discriminatory prerequisite for voting. In March of 1965, Mr. Parks was granted leave of absence from the faculty of law at Howard University to serve as Executive Director of the Neighborhood Legal Services Program (NLSP) of the District of Columbia, where he served with widely acclaimed distinction from March 1968 to August 1969. During that time Mr. Parks' agency provided critical legal services to the District of Columbia while it endured a riot following the assassination of Dr. Martin Luther King, Jr., and the "Poor People's Campaign" with its own settlement in "Resurrection City." As director of the nation's largest Legal Services Program, he substantially increased the number of Black staff with the George Washington University Law School in providing clinical training of 25 Vista law graduates who were candidates for the LL.M, degree. (Interestingly, the innovation of this NLSP-Vista program became the Urban Law Program of George Washington University Law School and was metamorphosed by the late Jean Camper Kahn and her husband Edgar Kahn into the innovative Antioch Law School, now the University of the District of Columbia David A. Clarke School of Law.) The Vista participants were assigned to community organization, group representation, and where insufficient activity existed in those areas, they provided routine legal assistance. Directly through the initiative of Mr. Parks and under his leadership the professional legal staff of NLSP was expanded from 38 in March 1966 to more than 83 when he left the program in August 1969. His extraordinary talents as a leader and administrator did not go unrecognized. In August 1969, Mr. Parks was drafted by the United Planning Organization's (UPO) Board of Trustees to become its third Executive Director. UPO was the Community Action Agency for the National Capital Area. One of the largest CAA's in the nation, with a budget of 32 million dollars annually it provided funds and support for activities ranging from legal services, and comprehensive neighborhood development corporations to Headstart, early childhood development, youth development as well as narcotics and alcoholic rehabilitation. The agency employed, directly or indirectly, approximately 4,000 people in its delegate agency network and subcontract operations. During Mr. Parks' directorship of the United Planning Organization there were sweeping changes in its reputation, mode of operation and organization. He boldly faced complex challenges and successfully reorganized the agency. An imaginative and innovative administrator, Mr. Parks is responsible for conceiving and implementing the social dividend concept whereby business enterprises contribute a portion of net profits or net cash flow to support social and economic development of disadvantaged people and communities. Additionally, Mr. Parks served, on numerous public bodies vitally concerned with the affairs of the District of Columbia. These include, among others, The Model Cities Commission, The Mayor's Committee on Crime and Delinquency; the City Council Committee on Crime and Administration of Justice; The Mayor's Advisory Committee on Narcotics Addiction, Prevention and Rehabilitation; The D.C. Commission on Interest Rates and Consumer Credit; and the D.C. Bicentennial Commission. In addition, he was an ex-officio member of The Mayor's Economic Development Committee; and a member and acting chairman of The D.C. Board of Elections and Ethics. On the national scene he was appointed by the Secretary of the Department of Health, Education and Welfare as a member of National Review Committee for the Regional Medical Programs Service. He was elected in a national election to the Board of Directors of the National Association for Community Development. In September 1973, he returned to full-time teaching duties at Howard University School of Law. In addition to routine teaching responsibilities, Mr. 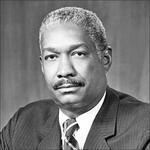 Parks was a founder and Chairman of the Board of Directors of District Communications, Inc., a member of the Board of Island Tele-radio Service, Inc., in the U.S. Virgin Islands; National Council Member, of the Federal Bar Association and President of the D.C. Chapter. He also served as a Commissioner of the D.C. Tax Revision Commission. Internationally, Mr. Parks served as Special Counsel to the Chairman and President of General Bahamian Companies Ltd., a diversified multinational corporation. In 1983, Mr. Parks, was a co-founder of The Frederick Douglass Foundation of Washington, D.C., Inc., a nonprofit that embodies the values of Frederick Douglass to support social, economic and academic development of disadvantaged people and communities. In 1994, after 34 years of service, Mr. Parks retired from Howard University School of Law. However, retirement from Howard did not end his legal career. It would continue for another decade which included serving as Chairman of the Board of Directors of Independence Federal Savings Bank until it merged into Colombo Bank. Including his tenure at Howard University School of Law the scope and breadth of Mr. Parks' legal career covered over five decades. Yet, as distinguished and as extensive as it was Mr. Parks was, at heart, a very private man who enjoyed, above all, the love and warmth of his family and friends. In many ways he was a philosopher king; someone who loved knowledge and possessed a great capacity for a modest and simple life which included a unique compassion and empathy especially for the least fortunate among us. Mr. Parks is survived by his wife of 58 years, Jeanne L. Parks; one son, John B. Parks; daughter-in-law, Tracy N. Wiggins-Parks and one grandson, John W. Parks; other relatives and many friends and associates.